While the "Stroll On" tracks were cradled within the English folk tradition, "Speedy Return" explores the human condition using a more eclectic range of musical genres. 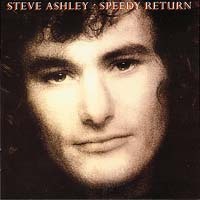 With twelve original songs and an instrumental title track, Speedy Return, which was recorded after a solo tour of the USA, marks a clear change of direction without any loss of musical identity. Modal tunes mix with blues, rock, and Latin rhythms and yet the result remains distinctively English. 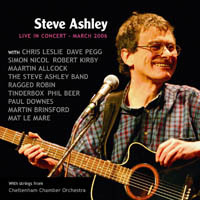 Robert Kirby, a close collaborator of Nick Drake, wrote and conducted orchestral arrangements for this album (also "Stroll On") and a number of artists during the 1970s. 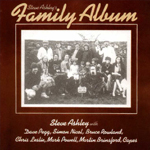 These included Richard and Linda Thompson, Sandy Denny, Elton John, Ralph McTell and The Strawbs. More recently he has been working with Linda Thompson, Paul Weller, Martin Carthy and again, The Strawbs. Market Square's reissue of "Speedy Return" comes with its customary attention to detail - an informative 8-page booklet, including previously unpublished photographs, complete lyrics and a perceptive re-appraisal by the folk-rock authority, Karl Dallas. "A flourishing confirmation of the imaginative song writing showcased on Stroll On."